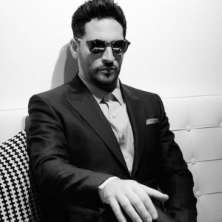 A legendary R’n’B singer songwriter and producer, whose career spans across two decades, there aren’t many artists with more firepower and influence than iconic American singer Jon B . After selling out two nights at the start of last year, the legend returns to perform an extended show of his greatest hits. Joining him on the bill is fast-rising London soul talent Tertia May . Page generated in 0,065834 seconds.